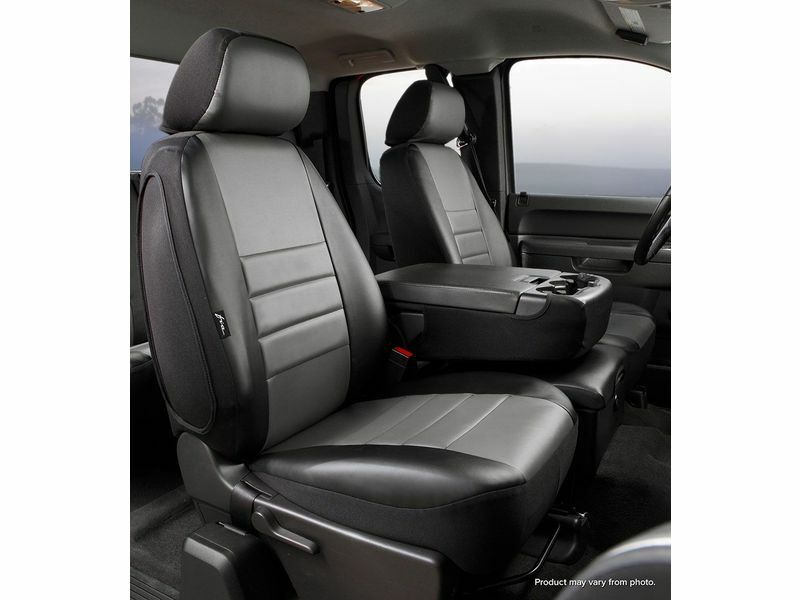 Enhance the styling of your truck, CUV, or SUV's interior with Fia Leather Lite seat covers. The SL60 series offers a super soft touch simulated leather custom seat covers. The advanced design of the Leather Lite's soft grain leatherette material creates an unbelievable eye catching interior. OEM grade leatherette with ultraviolet protection, the face fabric is water repellant and it is even padded for extra comfort. Available for the front and rear seats along with optional head rest covers, the Leather Lite seat covers also include the center armrest / console covers with most applications and offers a great fit and finish, including custom formed seat belt openings. This item features an easy attachment and removable system with quick release buckets and the super grip slip resistant fastening system. 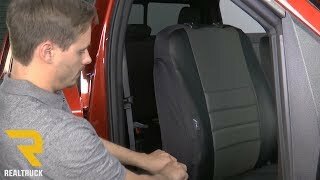 The form fitting wrap around design with a multi-directional stretch fabric, they custom mold to your seats and fit very tight. You can install yours in minute. 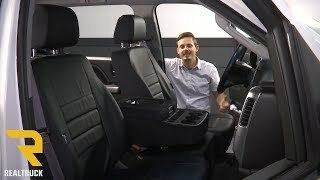 Should you even want to clean them, these SUV and truck seat covers can easily be removed, hand washed and air dried. Pick from four colors including blue center panel with black side panel, gray center with black side, red center with black side, and solid black. Fia Inc. guarantees the original purchaser a limited two year warranty against manufacturerâs defects in materials, workmanship, and finish under normal use. The warranty is void if the product has been damaged resulting from product misuse, improper installation, product modifications or product neglect. The warranty applies to all Fia products and is limited to repair or replacement of the product. Warranty does not include cost of removal, installation, labor, freight and incidental or consequential damages. Original purchaser must return defective merchandise along with the original purchase receipt to the original place of purchase for repair or replacement. Shipping charges will apply for any repair or replacement. Buyer assumes all risk and liability whatsoever from the installation of Fia products. Vehicles equipped with supplemental restraint systems (air bags) deployed by impact should not be modified or covered by any aftermarket seat cover without consulting the vehicle manufacturer and Fia Inc. Fia Inc. assumes no liability for injury, loss, incidental, or consequential damages in the event of an accident. The Fia Leather Lite seat covers are an easy at home no tool installation using the super grip attachment system and quick release buckles. For additional information, please call us at 1-877-216-5446 or 701-253-5906.